A continuous monitoring process not only helps yield exemplary results but helps in the proper management of the call centre. It provides valuable insights into how the call centre is performing as well as the customer's experience. At Effic, we understand the value of improving the quality level of customer interactions. Our management, monitoring and quality assurance empowered with screen capturing will allow you to secure a remarkable customer service and get many satisfied customers. We are able to provide you with simple measures that can improve agent effectiveness. Furthermore, we can optimize all of your call center activities with a variety of capabilities, including call quality scorecards, playback and call assessment, screen capturing, quality monitoring, compliance monitoring, detailed reporting and evaluation questionnaires. With our services, you will be offered a vast amount of data that can help you manage service delivery much better. By monitoring customer interactions, you will gain valuable data that can also help you with your recovery processes. Having this valuable information can help you warn customers that they are getting into a danger zone and suggest new actions to prevent both you and your clients from getting into unpleasant situations. Furthermore, if you are forced to face the law in order to recover debts you will have concrete evidence of how the client is obligated to pay off his debt. With our automated services that can capture and store audio and video transactions, you will minimize liability and risk, control your sales more efficiently, ensure compliance, control claims, control services, control collection and other disputes that might come up. 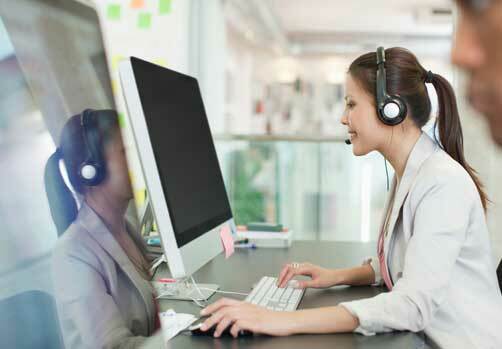 Effic has a dedicated Call Quality & Compliance monitoring team whose task is to conduct call listening and audits using our proprietary quality assurance software. Outsourcing this process helps our clients to identify gap in the key areas such as Call quality and Compliance and also allow them to take informed decisions to remedy any identified gaps. We provide our Quality assurance team continuous training and coaching and conduct periodic call calibration sessions involving our quality staff and client representatives to be aligned with the call quality goals and scoring parameters.